Or, get it for 62400 Kobo Super Points! Primary reconstructive surgery is assuming increasing importance in the management of fractures of the spine. Analysis of the injury and thus surgical decision-making are greatly facilitated by the diagnostic power of CT and MRI. 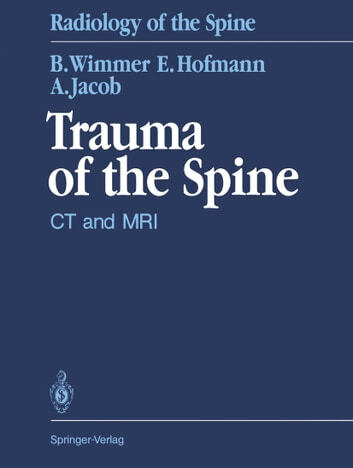 This volume provides a systemic introduction to the interpretation of CT and MRI images of injuries to the spinal column and the spinal cord, with special emphasis on the assessment or residual stability. Since survey X-rays remain the indispensable first step in radiodiagnosis, the typical appearances of spinal injuries on conventional films are also shown. This will help the reader interpret the CT and MRI images and also reflects the procedure in radiologic practice. 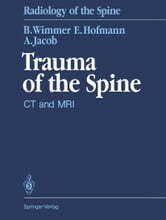 The book`s classification of spinal fractures, together with the attempt to conclude how the injury happened by analyzing the damage caused, paves the way for individually oriented therapy.